Mike Rowe, of Discovery's Dirty Jobs, former Ford Motors pitchman and opera singer, posted a great comeback to criticism for narrating an ad touting WalMart's investment in US manufacturing on his Facebook page. Mike's comments on his Facebook page shows how biased and lazy reporters with an agenda can cast anything in a bad light without getting or omitting facts. I'll let the man speak for himself. I’m back. Three days of press, five hours of sleep, four bottles of wine, a speech, a job offer, 5,000 form letters, and a couple of good-natured death threats. All because of a commercial that I narrated about American manufacturing paid for by Walmart. Press tours are fun! Sorry Matt - here are the facts. Ford didn’t “drop” me. We had serious discussions about another extension but decided not to proceed for reasons completely benign. We parted amicably long before the Walmart ad came along. A simple phone call to Ford would have confirmed that. Or, you could have done some really deep digging and called me. People do it all the time, especially when they’re interested in getting the facts. Bottom line - We “played nice” in Ad Age because the people involved are all, well...nice. I’m just at a point in my career where I want to associate myself with messages that speak directly to the issues that are important to me. That’s why the Walmart ad was so appealing. A $250 billion investment in US manufacturing is worth talking about, and very much in keeping with the goals of my own foundation. If any other “Oppressors” are looking to make a similar investment in America, drop me a line. I’m happy to “shill” for any company that gets this country back to work. Also in Matt’s piece, was a link to this little gem. Along with that omission, and the clever use of words like “hawk,” “tout,” and “spokesman,” the reader is left to believe that I’ve been empowered to speak on Walmart’s behalf in some sort of official capacity. In fact, I have not. I’m doing this because I want to encourage other companies to make similar investments in American manufacturing. That’s it. Of course, I’m not the only one with an agenda, and Aimee knows it. Ori Korin is a spokesperson for “Jobs with Justice,” and she’s trying very hard to persuade people that Walmart is treating its workers unfairly. Aimee quotes Ori as being disappointed with my decision to work with “a company as notorious as Walmart.” Ori also believes I was “too quick to dismiss” the workers she represents. Well Aimee, please allow me to address your request with all due speed. My office has no record of a call from you or anyone at CBS. I've checked three times. Nothing. Of course, if you sent an email to my Foundation, it may very well be buried in the mountain of form letters currently straining the resources of mikeroweWORKS. Which brings me to Ori Korin, and Jobs for Justice. In the spirit of their chosen method of communication, I’ll respond directly and openly. You’ll be pleased to know that my office has received your letter, and 5,048 others just like it. While I’m sympathetic to your objectives and sensitive to the needs of your members, I must say that your tactics have had the same effect as a flood of telemarketing calls during my dinner, or a bag of dog crap set ablaze on my front porch. Now, instead of overseeing scholarship applications and other Foundation matters, my already beleaguered staff must sift through a sea of robo-letters in search of legitimate correspondence from hard-hitting investigative journalists like Matt & Aimee. Let me really spell this out though, so there’s no confusion at all. I care about the people you represent. That’s precisely why I set up a foundation and some scholarship funds. I’m trying to encourage hardworking people who are unhappy in their jobs to make a meaningful change in their life. A lasting change. And I believe this change is most likely to occur when people are willing to learn a skill that’s in demand. Happily, worthwhile opportunities are everywhere. Our country has a massive skills gap, and the chance to retool and retrain has never been better. We’re not enemies, Ori. We’re just fighting different battles. You’re trying to wring out a modest increase for people who feel unappreciated by their employer and unhappy in their work. I’m trying to get those same people excited about possibilities and opportunities that go beyond their current positions. Frankly - and I say this with all due respect - I don’t believe that your strategy is in the long-term interest of your members, or for that matter, anyone who wants to improve their lives in a meaningful way. Think about it, Ori. Many of the workers you represent have jobs that could very well become obsolete in just a few years. Automation, technology, automatic checkouts...the writing is on the wall. But the skilled trades are different. Welders, auto technicians, carpenters, masons, construction workers, healthcare...these opportunities are real, and the rewards go far beyond the minimum wage - whatever that might turn out to be. Walmart may have cornered the market on retail jobs, but the world's a lot bigger than Walmart. Surely, if you’ve got time to send five thousand identical letters to the same email address, you’ve got time to pass this on to your members. But do me a favor - just send it once. People hate form letters. This comes from a guy named Shawn Griffiths over at The Independent Voter Network, and I appreciate every single sentence. My own bias aside, Shawn’s analysis is completely correct, and if I were King of the World, this would be required reading for any journalist that wanted to discuss recent events. If you’ve come this far, please give it a look. Guitar great Paco de Lucia passed away while vacationing in Mexico. He died of an apparent heart attack while on the beach. Mr. de Lucia was a virtuoso talent who toured with jazz guitarists Al Di Meola and John McLaughlin. I had the pleasure of seeing them in 1981 at the Nassau Coliseum in Long Island, NY. Here's a video of these three masters from that tour. I would also like to mention Harold Ramis passing as well. When you look at the body of work Mr. Ramis accomplished in his career, it's amazing he wasn't more of a household name up there with George Lucas, Steven Spielberg and Martin Sorcese. His genre was comedy and he had a hand in some of the greatest comedies in the last 30+ years. From what I've read, the reasons he wasn't as "famous" as others was because he was such an unassuming guy. It sounds like he was unfazed by fame and more focused on his work than being well know. You could make a case that Mr. Ramis gave birth to the pantheon of comedy films that have been released after the successes of films such as Animal House, Stripes, Caddyshack and Ghostbusters. All of which Harold Ramis either wrote, directed or acted in. His list of films is impressive and it appears that he had a hand in just about every great comedy in the past 30 years including Analyze This. Well it's all over for the US hockey teams, both losing to Canada each game decided by one goal. I give both men's and women's teams credit as they both did an amazing job representing the US in hockey. Congratulations to the Canadian women for a well earned gold medal. Please spare me "the refs gave them the medal" talk. If any game is close enough to be decided by an official's mistake in any sport, then it could have gone either way and you can't complain about officials giving the game away. Yes, there were bad calls in the women's game, but losing a 2 goal lead with under 4 minutes to go is much more of a factor than officiating. 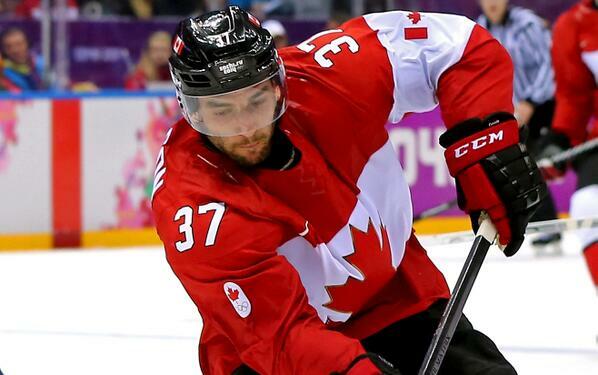 Funny how the Canadian men's team looked a lot like the Boston Bruins the way they played today. Canada beat the US by heavy forechecking, tightening gaps in the neutral zone and layering defense to make it hard to get quality scoring chances. Let's see how the men's gold medal game plays out on Sunday. 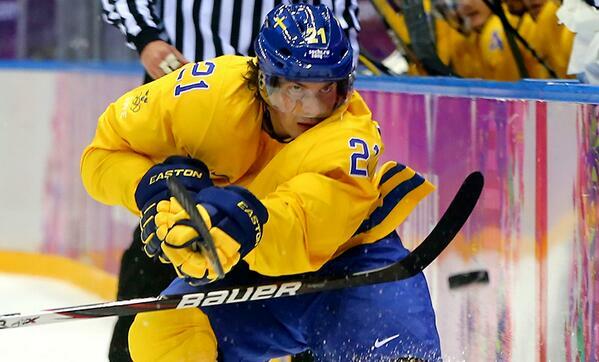 Either way, a Boston Bruin will win gold with Loui Eriksson playing for Sweden and Patrice Bergeron for Canada. The US plays Bruin's goaltender Tuukka Rask's Team Finland for the bronze tomorrow. And once again, all this proves that hockey is the best sport. Hockey Hall of Famer Phil Esposito turns 72 today. The great former Chicago Black Hawk, Boston Bruin and New York Ranger forward was one of the first high scoring players in the NHL, well before The Great One, Wayne Gretzky came along and shattered all the scoring records. Espo as he was known, scored 50+ goals for the Bruins in 5 seasons. He went from 43 goals in 1969-70 to an amazing 76 goals in 1970-71. When Esposito scored 76 goals, many thought that record would never be broken, 76 was the all time NHL single season goal scoring record until Gretzky came along in 1981-81 and scored a mere 92 goals. The way the game is played today with better goaltending and defensive systems, Gretzky's record may never be surpassed. In 1971-72, the following year, Esposito scored 66 and likes to say " People asked me what was wrong!!!" Sinden traded Esposito to the New York Rangers in 1975 along with Carol Vadnais for greats Brad Park and Jean Ratelle. Joe Zanussi was also a throw in. "You want to know the truth," said Esposito, the fifth-leading goal scorer in hockey history. "This series doesn't mean s*** to me. "I have no feeling for these teams. There's nothing emotional about it. They both got rid of me, traded me. So screw them. "I didn't choose to leave Chicago. I didn't choose to leave Boston. I signed a contract in Boston for less money than I could have gotten from going to the WHA. I could have made millions doing that. And you know how they repaid me? Three weeks later, they traded me (to the New York Rangers)." When Espo says "You want to know the truth" that is exactly what you're gonna get. One of Esposito's most famous moments was during the 1972 Summit Series against the Russians. The series was the first where Canada put together a team of NHL stars to face the up and coming Russians. Most people at the time didn't take the Russians too serious, including Team Canada. When the series arrived in Vancouver, Canadian fans booed Team Canada and Esposito couldn't contain himself any longer and let loose in an interview. Of course one of the greatest moments was when the Bruins honored Espo by retiring his number 7 jersey. At the time, Bruins defenseman Raymond Borque was wearing #7 and pulled one of the greatest moments in hockey history at the retirement ceremony. Espo is still active as a color commentator for the Tampa Bay Lightning and also can be heard on Siruis XM on Mondays and Wednesdays at 5:00 pm Eastern along with Scott Laughlin on the In The Slot With Phil Esposito show.